Make the most of your Lakeland stay.. There's so much to experience in the Lake District - breathtaking outdoor pursuits, inspiring arts and culture and imagination, engaging childrens' attractions. 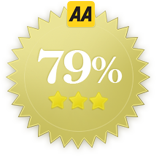 Enjoy browsing village shops, delis and galleries, and visiting craft and country fairs. Below we've covered just a small selection of the attractions available near the Oak Head Caravan Park. 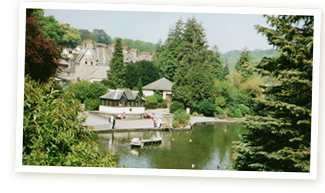 Fell Foot Park is located two miles away from the Oak Head Caravan Park on Lake Windermere, and offers substantial lakeside access - with free picnic areas and rowing boat hire for great family visits. The park is open year round, with lake facilities (including rowing boats) available during season from April to October. From Fell Foot you can take the ferry to Lakeside, and there board the boat to Bowness-on-Windermere. Bowness is Cumbria's most popular destination, and the town is bustling with activity for much of the year - you can visit to enjoy the sailing and watersports on offer or just to relax and enjoy the atmosphere and tranquil lakeside setting. 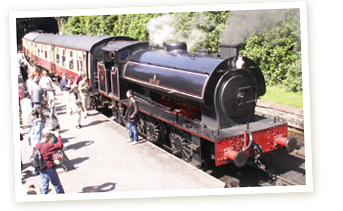 Four miles up the road from the Oak Head Caravan Park is the Lakeside and Haverthwaite Steam Railway, located in the picturesque Leven Valley at the southern end of Windermere. The railway offers a historical look at one of the cradles of the Industrial Revolution, along with a restaurant and gift shop! More information regarding the activities and facilities at the station can be found here, and tickets can be purchased online here. Events are also run year-round. You can find plenty of indoor and outdoor pursuits within a few miles of the Oak Head Caravan Park - including an indoor heated pool, tennis courts, fishing, golfing, horse riding and watersports. There are also two beaches near by. The picturesque seaside town of Grange-over-Sands is also close by, and well worth a visit - providing visitors a traffic-free promenade, ornamental gardens, brass band concerts and vantage points for bird watching are just a small selection of the attractions on offer. Likewise, the old village of Cartmel is a stone's throw away from the Oak Head Caravan Park - home to a variety of interesting shops and traditional pubs that will keep you occupied for hours. 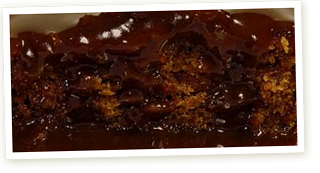 However, it's probably most famous for the Cartmel Village Shop - seen on the BBC's Great British Menu and featured as one of Rick Stein's food heroes for its sticky toffee pudding! There are also fishing, riding and golf on offer, for those who enjoy the outdoors - and for the naturalist, nearby Morecambe Bay is home to a large variety of bird life. Nearby Holker Hall is also a popular Lake District tourist attraction, situated a short distance from the Oak Head Caravan Park in the exceptionally beautiful South Lakes countryside. The hall is open to the public from Match to November (although both hall and gardens are closed on Saturdays), and the gift shop, food hall and restaurant are open from February to December. The Oak Head Caravan Park is located close to well-established cycle routes, including Walney to Wear and Whitby and the Cumbria Way Cycle Route - spanning 72 miles (or 80 if two off-road sections are used) of beautiful Lake District countryside.